With over thirty five years of trading experience, JSA Landscape Group provides landscape, forestry and agricultural services to both the private customer and companies, large and small. All of our staff are fully trained and qualified to NPTC / City and Guilds level and are extremely experienced in the work that they do. We are, of course, fully insured.We have made a massive investment in machinery and equipment, all of which is under 5 years old to ensure reliability. 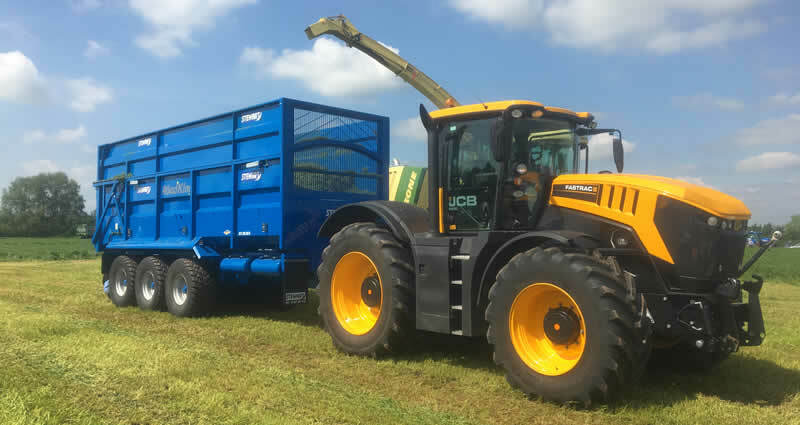 JS Agriculture Limited or, JSA as it is now known, has been carrying out grounds maintenance and agricultural contracting in the South East of England for over thirty years and now covers the whole of the UK. The nature of our work spans a wide range of land based husbandry services and includes specialist operations in Airport Maintenance and Conservation Management. JSA is an approved specialist contractor for operating agricultural and landscape machinery airside at many UK Airports. With a thorough working knowledge of CAA CAP 772, we have carried out grasscutting, selective and total weed control and grounds maintenance operations around runways and taxiways at Heathrow, Gatwick, London City and Southampton Airports as well as many other military and civil airports. Alongside this we deliver high quality landscape maintenance around offices, hotels and business parks for Blue Chip clients, such as HAL, Amey, Quintiles, Symantec, Thistle Hotel Group, Hillingdon and Ealing Councils as well as The Chartered Institute of Personnel and Development. Above all we are passionate about delivering a professional service for you. We will work closely with you to achieve excellence in Habitat Management and Landscape Maintenance for the benefit of you, your staff, visitors and your business. To discuss any aspects of our work please call us on 01784 481228.